Your company will be a part of the local community no matter how big or small it may be. Part of being in a community is all about giving something back to support individuals and other small businesses around you. If none of us gave anything back to support the local community, some people would really struggle. And no one wants to be responsible for anyone having a hard time through life! Giving something back to the local community won’t just help those around you, though. It will also be very beneficial to your business as a whole too. That’s because it can help to greatly enhance your reputation. The public will see that you are keen to do good and help those in need, and this will reflect exceptionally well on your brand. So, are you ready to do some good in your local community? Here are a few different ways you can give back through your business. When most people think about giving back to their local community, they usually instantly think of helping a charity. There are so many great charities out there doing such good work and helping individuals and families with various things, including dementia support, homelessness, and urgent medical help. Lots of these charities are always on the lookout for generous donations so that they can continue with their hard work. You might want to find a charity to support and all of your team’s fundraising efforts throughout the year can go to that organization. Alternatively, you might want to ask each of your employees to nominate a charity each and your fundraising can then be split between them. Another great way to raise money for charities is to give your team the chance to donate their bonuses to their charity of choice. Another way you and your team can help local charities is by volunteering your time. It’s not just money that charities need, as many will also have a shortage of people willing to help them out. 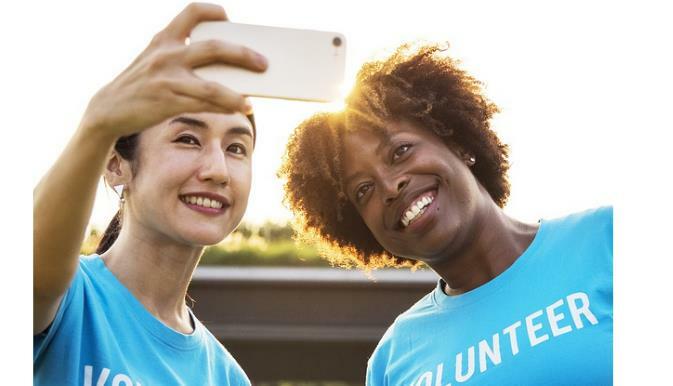 A lot of charities will need volunteers for a variety of roles, including some office roles that help with the organization and general admin. I’m sure there are plenty of ways your employees could put their skills and experience of working in an office to good use! So, you should try to encourage them to give up some of their time to help support a local charity. Some companies even let their employees spend an hour a week working with a charity, so that could be something else to consider as well. Your community will no doubt be made up of many different small businesses and organizations. Some of these will be struggling to get by and scrape enough to make a profit. If these companies were to go bust, it could be quite devastating for the local economy and locals could lose some very important services and products. One way to support other companies in your area is to use them as suppliers whenever possible. Hopefully, some business will repay the favor and will come to your company whenever they need to use the kinds of services or products that you sell. Young teenagers who are starting to think about which direction to take their career in will be on the lookout for work experience placements that they can do through their summer holidays. Why not offer some places for some of these teens in your surrounding area? You can take them on in your office for a few weeks. Even if you just give them some basic admin to work through, it will still give them some very useful experience of working in an office and having a full-time job. Not only that, though, but this should help to ease some of the pressure you might face when so many of your regular staff are taking holidays, and at little extra cost. Another way to help the youth of your community is to sponsor a local children’s sports team. There will no doubt be a few different teams in your neighborhood, including soccer, basketball, and baseball. Most youth teams are often on the lookout for sponsorship from companies and organizations so that they can afford to buy new kit and essential equipment. In return for the kind sponsorship, they will advertise the company by placing adverts around their ground and the logo on their kit. Not only that, though, but the company’s brand will also usually feature in any match-day programs that are printed. So, as you can see, sponsoring a children’s sports team will be doing them some good and it will also bring you the benefit of some extra marketing opportunities. There are lots of food banks in most towns and cities these days, and these endeavor to help families who have little money put some healthy and nutritious food on the table. These days, more and more companies are doing what they can to help their local food bank so that people in their local area don’t have to struggle to feed their families. You might want to donate some money to them or get all of your employees to bring in some food so that you can offer it all to the bank. Dried and tinned goods, like pasta, rice, and tinned tomatoes, will go down very well as they have a long shelf life. You might even want to volunteer some of your time at the food bank as well. If you know that a local charity are going to be holding a fundraising drive, why not see if you can sponsor it? In exchange for a generous donation, the charity will be able to advertise your brand and company on the day of the event. How will you and your small business give back to your local community?